Earlier this week, President Trump lashed out at top Justice Department officials in an interview with the New York Times, accusing them of various “conflicts of interest.” It seemed like an odd phrase for the president to use, first, because it draws attention to his administration’s dizzying array of conflicts of interest; and second, because he seems to think any law-enforcement official is conflicted if they show loyalty to something other than Donald Trump. Two reports out Thursday night shed light on why Trump used the phrase multiple times. Sources tell the New York Times that Trump’s attorneys are working on a new tactic to undercut the Russia probe: looking into the backgrounds of the investigators working with Special Counsel Robert Mueller and using that information either to discredit the investigation or to force investigators to recuse themselves. 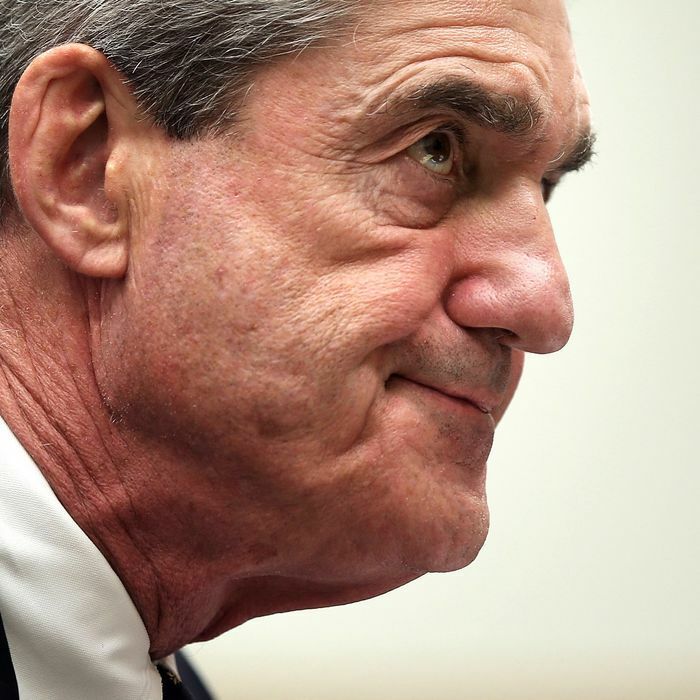 Comments made by Trump and his associates over the past two days suggest they may be trying to intimidate Mueller and his team through the media. Trump’s cohort has implied that if investigators have any secrets — or just forgot to tip housekeeping at a Trump hotel — the world may soon find out. They’ve also clearly outlined which actions could provoke retaliation from the White House — namely, looking at the Trump family’s finances more closely. The president reportedly told aides that he was particularly disturbed when he learned Mueller could access several years of his tax returns, which Trump refused to release during the campaign. “If you’re looking at Russian collusion, the president’s tax returns would be outside that investigation,” a close adviser to the president told the Post. It’s absurd to suggest that the president’s business dealings with Russian oligarchs are not pertinent to an investigation into Trump’s possible collusion with the Russians. By registering their strenuous objections, it’s almost like the Trump team is shouting to Mueller and Co., You’re right, there’s something shady in the president’s tax returns. It seems clearer than ever we’re going to learn the ins and outs of firing a special counsel and all about the president’s pardoning authority.